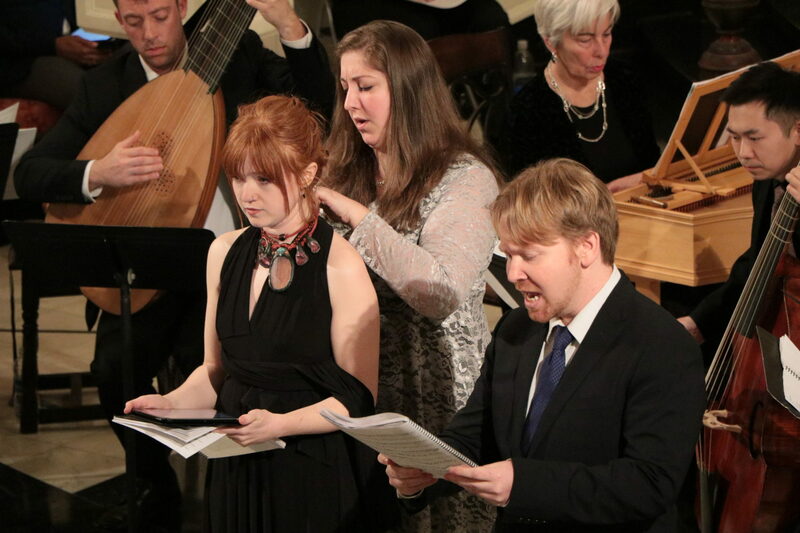 The Academy of Sacred Drama—the NYC based artistic and intellectual community—presents the North American premiere of Antonio Draghi’s late seventeenth century Oratorio di Giuditta. The story depicts the Book of Judith’s heroine preserving her community and faith from a tyrant. Likely first performed at the chapel of the empress dowager, Eleonora, in 1668, the Academy’s performance will reflect the order of Eleonora’s oratorio services with a lecture by Yale faculty member Judith Malafronte replacing the original sermon. Oratorio readings of the Academy of Sacred Drama include a musical performance by critically acclaimed early-music performers, a lecture, and a dessert break. Performances are prepared in conjunction with the release of an Academy Journal with specialist articles on oratorio themes and context for general readership. Tickets are still available for purchase at the door. Cash or check only please. The February 2018 Academy Journal explores the text and context of Antonio Draghi’s Oratorio di Giuditta, takes a look at the Academy format, highlights the efforts of other organizations offering performances of Baroque-era sacred music, and draws upon expert commentary and Academy of Sacred Drama member contributions. Become a member to receive an Academy Journal subscription. The Academy will release a new and free performing edition of Antonio Draghi’s Oratorio di Giuditta with an English translation of the anonymous libretto under a Creative Commons Attribution-ShareAlike 4.0 International license in October 2018. View the facsimile of the manuscript in the Österreichische Nationalbibliothek in Vienna here.